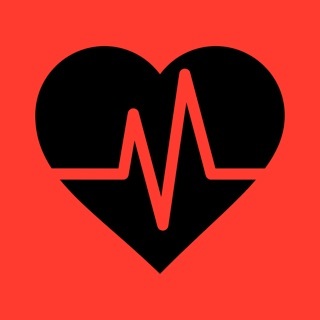 Pulse 24 is an advanced heart rate monitoring tool for Apple Watch. With Pulse 24 you can examine in detail your resting and activity heart rate directly on your Apple Watch. Pulse 24 will also keep you notified with dynamic notifications when your resting heart rate is outside your limit values. Pulse 24 lets you examine all of your recorded heart rate points within 24 hours on a minute level. This way you can easily get detailed information of your daily heart rate directly on your watch. With the help of the timeline view you can quickly spot and jump to interesting points within the 24 hour time period. Examine your daily notification history on your Apple Watch. See how many times your personalised high and low limits have been reached. Days with notification info also contain your daily average resting heart rate and your highest and lowest heart rate within that day. Note: this information will be collected only when you have notifications enabled and Pulse 24 complication added to your watch face. Even if you do not want to enable notifications the Pulse 24 complication is a great add to your watch face. It shows your latest resting heart rate reading and other related information depending on the complication in use. After giving rights to necessary health data on your iPhone you can use all of the functionality in Pulse 24 directly on your Apple Watch. Dynamic heart rate notifications work beautifully also on the original Apple Watch model. It’s frustrating that the only thing I get on the iPhone is a lesson on how to use the watch app with a little pulse measure at the top. The clock in the pulse is not correct either. Please give me access to the information on the watch via my iPhone. Please allow alerts on the iPhone for measurements outside of range (for training feedback). I like that it tracks the heart rate on the watch, but I wish we could review the data on the phone app. It would be nice if it kept a history by date, on the app. Alerts are pretty laggy and would be nice to be able to see the trends on my phone.